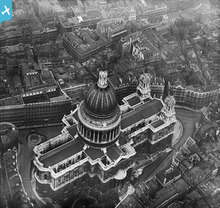 Saint Paul's Cathedral from the "Shard of Glass"
Great pics, Alan. During a field visit to London Docklands in December 1991, I took the opportunity of climbing to the top of the dome, beyond the Whispering Gallery and the Stone Circle, and up to the viewing platform of the so-called Golden Circle, for some splendid views over the Capital! 365 steps! I did that splendid view a few years ago John. I've added a photo of the view. 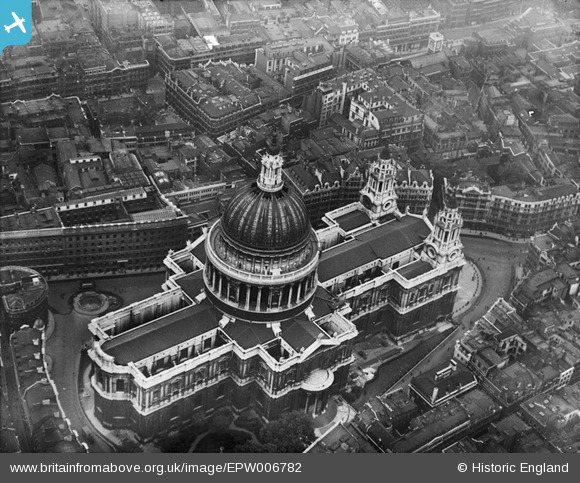 The eyes of the world be be on this location tomorrow as the controversial publicly funded funeral of Baroness Thatcher takes place.